Ensure the Election of Pro-Business State Legislative Candidates! It’s clear: even the best candidates with the best campaigns need adequate resources to win an election. 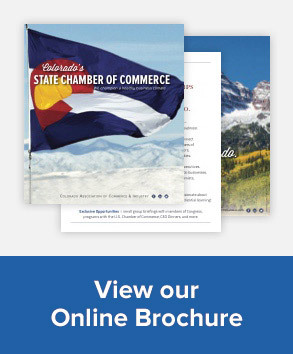 Please consider contributing to the Chamber’s Colorado Business Political Action Committee (CB-PAC) and Small Donor Committees. Both the CB-PAC & Small Donor committees support pro-business candidates for the State Legislature. CB-PAC contributors may participate in the candidate interview process! Contributions for the 2018 election cycle will be essential to the Colorado Chamber of Commerce’s efforts to select and support pro-business candidates for the Colorado General Assembly. Our ability to influence business-friendly legislation is directly related to these efforts. We face many challenges in working to elect pro-business candidates. Due to voter-approved term limits, there will continue to be large numbers of new legislators each election cycle who need to be educated about business issues. In addition, PACs are limited to a maximum $575 contribution per election cycle for state legislative races, making fundraising efforts even more difficult for elected officials and candidates. See below for options to contribute. $50 may be donated to the Small Donor Committee each year. Recommended contribution per election cycle = $1,000 or more (no limit per state law). Up to $575 may be made for each 2-year election cycle For your convenience, please click here to view an invoice for $575 filled in with the name of our PAC and other pertinent information.